New York City Public School Students Improve on State Standardized Tests! New York City Public School Students improved on state reading and math exams in 2016, posting notably better results from last year. “Mayor Bill de Blasio said he is proud of the gains made by city kids on the tests, which are used in decisions to promote students, evaluate teachers and create policy. As in previous years, the city trailed behind state passing averages on math exams. But this year, city kids did slightly better than the state average on reading tests. Statewide, 37.9% of kids met reading standards in 2016 compared to 31.3% in 2015, while 39.1% passed math tests in 2016 compared to 38.1% in 2015. It’s the first time that the city has outperformed state averages on either category of the tests, since they were pegged to tougher Common Core standards in 2013. But state Education Commissioner MaryEllen Elia said that significant changes that the tests underwent in 2016 mean that year-to-year comparisons offer limited insight. After widespread opposition to the difficulty of the tests erupted in 2015, state education department officials shortened the exams for 2016 and eliminated time limits. Students seem to be doing much better due to shortened exams and no time limit. Elia admitted that both factors might have contributed to the rise in scores. The city’s black and Hispanic students made gains on state exams in 2016, but the achievement gap faced by those kids persisted as they failed to keep pace with citywide improvements. Congratulations to Chancellor Carmen Farina, the teachers, and students in New York City public schools. Good progress! Last night was another wowser of an evening filled with oratory by a host of mostly non-politicians and concluding with Hillary Clinton’s acceptance speech. There was the Reverend William Barber II, President of the NAACP in North Caroline, who gave a sermon on moral responsibility to our fellowmen and women. There was Gen. John Allen, (Ret.) who was the commander of NATO forces in Afghanistan, and who endorsed Hillary Clinton as the best candidate to lead our armed forces. As he made his comments, he was flanked by about two dozen war veterans representing every race and ethnicity in our country, and the audience applauding with chants of USA. Chelsea Clinton introduced her mother in a most dignified and personal way. The night concluded with Hillary Clinton giving as fine a speech as she can. She humanized herself by talking about her grandfather and parents. She gave a few good knocks to Donald Trump. She concluded with what “we” not “I” would do for the country if elected. The most touching speech of the night came from the father of Army Capt. Humayun S.M. Khan who was killed in Iraq. The father, Khizr Khan, spoke about the heroism of his son, who was killed by a vehicle loaded with hundreds of pounds of explosives. The 27-year-old soldier, who was born in the United Arab Emirates, ordered his unit to halt while he walked toward the vehicle, saving the lives of his fellow soldiers. With his wife standing beside him, Khan brought Democratic delegates to their feet by denouncing Trump and his proposed ban on Muslims. Khan then addressed the Republican nominee directly. “Let me ask you, have you even read the U.S. Constitution? I will gladly lend you my copy,” he said, pulling a copy of the document from his pocket. “Look for the words ‘liberty’ and ‘equal protection of law.’ Have you ever been to Arlington National Cemetery? Go look at the graves of the brave patriots who died defending this country,” he said. He brought the house down and tears to the eyes of many in the audience! Donald Trump Calls on Russia to Hack Hillary Clinton’s Email! Yesterday, Donald Trump’s call on Russia to hack Hillary Clinton’s emails has shocked, flabbergasted and appalled lawmakers and national security experts across the political spectrum. Few would argue Wednesday that what the Republican presidential nominee said will directly cause Russia to conduct more cyber-espionage against the U.S. than it already is doing. But several described Trump’s statements as dangerous for America’s global standing. Some echoed the Clinton campaign in calling the comments a threat to national security. “It’s just one more example of the reckless and dangerous comments that Donald Trump makes that compromises American foreign policy objectives,” said Sen. Ben Cardin of Maryland, the ranking Democrat on the Senate Foreign Relations Committee. An aide to House Speaker Paul Ryan, the Wisconsin Republican who has endorsed Trump, added, meanwhile, that “Russia is a global menace led by a devious thug” and that it should stay out of the U.S. election. “Mr. Trump’s friendly come-on to the Russians came the morning after American intelligence agencies told the White House they had “high confidence” that Russian intelligence was behind the hacked D.N.C. computers, leading to the release of nearly 20,000 emails that showed favoritism toward Mrs. Clinton over Senator Bernie Sanders. The United States is actively trying to discourage hacking, which is a criminal act, and get countries like China to adhere to norms for operating in cyberspace. It is another example of Donald Trump’s recklessness and his tendency to divide rather than to unify. DNC: President Obama, Joe Biden, Tim Kaine, and Michael Bloomberg! Last night was one for the ages as speaker after speaker gave eloquent and inspiring messages to a receptive Democratic National Convention crowd that loved what was being said. President Obama was powerful as he passed the leadership of the Democratic Party and hopefully the presidency to Hillary Clinton. As newswoman Andrea Mitchell said afterwards, he may be the best president at public speaking since Abraham Lincoln. Vice President Joe Biden gave a raucous speech filled with patriotism which had the crowd chanting USA USA USA. He also showed his human, sensitive side in talking about his son, Beau, who died last year of cancer. Hillary Clinton’s running mate, Tim Kaine, represented the strong but humble yeoman politician who invoked his family to good affect. He also called out Donald Trump on failing to release his tax returns. “I am a New Yorker and I know a con when I see one”. Vintage Bill Clinton Wows Audience at DNC – Video! Yesterday was the second day of the Democratic National Convention. Hillary Clinton officially became the first woman presidential candidate from a major political party. Bernie Sanders showed remarkable party loyalty by calling for acclimation and having it officially recorded that Hillary was nominated unanimously. In the evening, Bill Clinton gave the keynote and he was his vintage self. Bill is much thinner these days and his finger shakes a touch when he uses it to make a point but he still has the gift of capturing his audience. He told the story of how he and Hillary met in 1971 and how together they were students, teachers, parents, and friends. However, his basic theme was that Hillary was a change maker and that her whole life she used her talents and legal mind to help others especially poor children. He told stories of her seeking to improve education opportunities for children with special needs. He told of her association with Marian Wright Edelman and the Children’s Defense Fund. He closed with assuring the crowd that Hillary was a doer and a “change maker”. He also cautioned that the Republicans have tried to cast Hillary as a “made up cartoon”. He said America has a choice between the “real Hillary” and the “made up one”. You [the DNC audience] nominated the “real Hillary”. The audience rose to its feet in a standing ovation. First Day of DNC: Booker, Michelle Obama, Warren, and Sanders Bring the House Down! The Democratic National Convention kicked off yesterday in Philadelphia amid controversy regarding the WikiLeaks scandal and the replacement of Debbie Wasserman-Schultz as the chairperson of the Democratic National Committee. However, once the show started with the Mother Bethel Church Choir singing The Battle Hymn of the Republic, the game was on. The Choir was followed by Baltimore mayor, Stephanie Rawlings-Blake, and within the first five minutes, we saw more African-American faces on the stage than we saw in the entire arena last week at the Republican National Convention. The main speakers last night, Corey Booker, Michelle Obama, Elizabeth Warren, and Bernie Sanders gave solid emotion-filled oratory that rocked the audience and I am sure the television viewers. Here are a few snippets. Elizabeth Warren: Skewered Donald Trump as the “Great Trump Hot-Air Machine” and “his goofy hat”. A fine evening for the Democrats after a shaky start. Donna Brazile Replaces Debbie Wasserman Schultz! 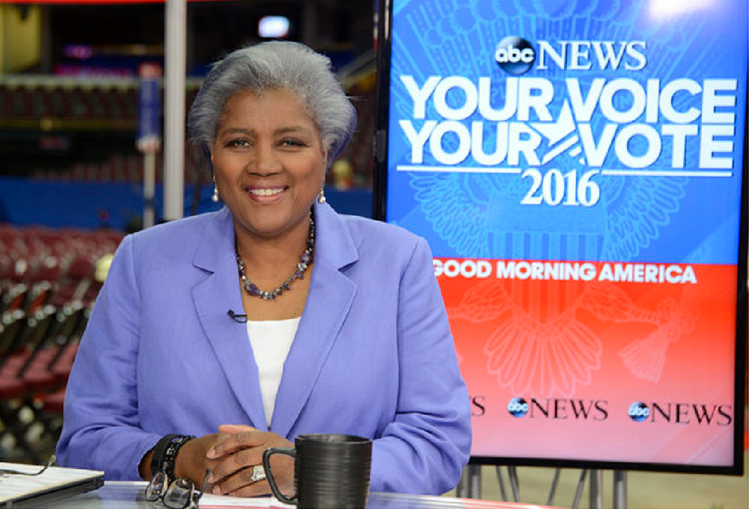 In light of the recent WikiLeaks scandal plaguing the beginning of the Democratic National Convention in Philadelphia, Donna Brazile has been named the interim chair replacing Debbie Wasserman Schultz. Here is The Huffington Post announcement reporting on Ms. Brazile’s apology for the inappropriate emails. PHILADELPHIA ― Donna Brazile, the interim chair of the Democratic National Committee, apologized Monday for the party’s email leak. “With a humble heart, I want to say something as your vice chair. I sincerely apologize, my friends, for those of you who took offense and were offended, for those of you who feel betrayed and were betrayed by the ridiculous and insensitive and inappropriate emails released from the Democratic Party,” Brazile said during a black caucus meeting at the Democratic National Convention. WikiLeaks released 19,252 emails from “seven key figures” in the Democratic National Committee last week, some of which suggested that the DNC heavily favored Hillary Clinton’s campaign over that of Sen. Bernie Sanders (I-Vt.). Debbie Wasserman Schultz, the former party chair, announced her resignation on Sunday. “A compromise of this nature is something we take very seriously, and the FBI will continue to investigate and hold accountable those who pose a threat in cyberspace,” the statement read. How Much Can Unions Lift Adjuncts? CUNY Contract Fight Hinges on What’s Good Enough. The Chronicle of Higher Education has a featured article on the collective bargaining offer that CUNY and the Professional Staff Congress (PSC) have agreed to and is awaiting ratification by the union membership. CUNY faculty have been without a contract for six years. The article focuses on the concerns of adjunct faculty and graduate assistants who feel that the pay increases are inadequate. Here is an excerpt. “The City University of New York’s faculty members are divided over a tentative contract and a longstanding question: Just how much can adjunct instructors expect to gain by belonging to unions? CUNY’s faculty union, the Professional Staff Congress, says part-time faculty members should celebrate the gains it has made on their behalf in a hard-fought labor agreement. But many part-time instructors and graduate assistants oppose ratification of the new contract, arguing that it represents more of a defeat than a victory. The agreement, accepted by CUNY’s administration and board last month, would offer many of the university system’s part-time instructors both much more job security and access to health insurance that they previously lacked. It would not substantially increase their pay, however, and would do little to close gaps between their earnings and those of their full-time counterparts. Barbara Bowen, president of the Professional Staff Congress, last week said her union had “secured an enormous defensive victory” by winning the new contract and the state’s pledge of funds to cover it, especially considering that Gov. Andrew M. Cuomo, a Democrat, at that point had proposed a steep cut in state support for the university system. While acknowledging that her union’s leaders view the agreement as far from perfect, Ms. Bowen nonetheless argued that “it is strongly in members’ interest to ratify the contract,” because otherwise the union risks losing whatever ground it has gained. “I just want to tell CUNY ‘No,’” said Ruth E. Wangerin, an adjunct assistant professor of anthropology at Lehman College who is active in a group called CUNY Struggle. It has been American higher education’s dilemma that adjunct and contingent faculty have been paid so poorly. As the article suggests, the CUNY offer does little to alleviate the problem. Hillary Clinton Names Tim Kaine as her V.P. Running Mate! Hillary Clinton named Tim Kaine yesterday as her vice presidential running mate. 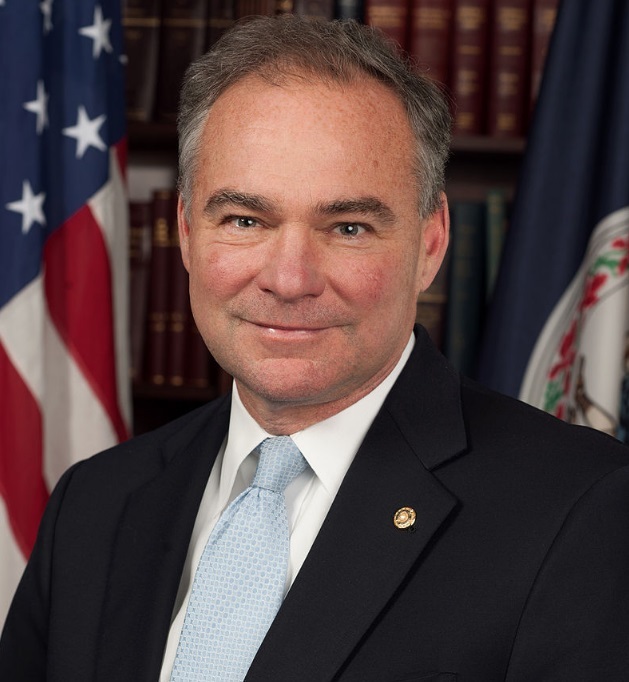 Kaine is the Democrat senator from Virginia. He is a solid individual and a safe choice. Below is the full text of Hillary’s letter to her supporters. I’m thrilled to share this news: I’ve chosen Tim Kaine as my running mate. Tim is a lifelong fighter for progressive causes and one of the most qualified vice presidential candidates in our nation’s history. But his credentials alone aren’t why I asked him to run alongside me. Like me, Tim grew up in the Midwest. During law school, he too took an unconventional path — he took time off and went to Honduras to work with missionaries, practicing both his faith and his Spanish. When he returned to the states and graduated from Harvard Law, he could have done anything. But instead of going to some big corporate firm, he chose to fight housing discrimination as a civil rights lawyer in Richmond. He and his wife joined a church, built a home centered around their faith, and raised three beautiful children. Then, after 17 years of practicing law, Tim ran for city council — and won. Tim says his experience on city council taught him everything he knows about politics. To the people in Richmond, an underfunded school wasn’t a Democratic or Republican problem. It was simply a problem that needed fixing, and his constituents were counting on him to solve it. So Tim would do it. He’d roll up his sleeves and get the job done, no matter what. He’s a man of relentless optimism who believes no problem is unsolvable if you’re willing to put in the work. That commitment to delivering results has stayed with him throughout his decades-long career as a public servant. So I could give you a laundry list of things he went on to accomplish — as mayor of Richmond, governor of Virginia, and in the United States Senate. But this is what’s important: Tim has never taken a job for the glory or the title. He’s the same person whether the cameras are on or off. He’s sincerely motivated by the belief that you can make a difference in people’s lives through public service. That quality comes through in every interaction. To know Tim is to love him. When I was talking to people about this decision, I couldn’t find anyone — Democrat or Republican — who had a bad thing to say about him. From his staff over the last 20 years to his colleagues in the Senate, Tim’s beloved. He is a genuinely nice person, but Tim is no one’s punching bag. He will fight tooth and nail for American families, and he’ll be a dogged fighter in our campaign against Donald Trump and Mike Pence. I want you to know that I didn’t make this decision lightly. I’ve had the privilege of seeing two presidents and two vice presidents up close. I want a vice president who can be my partner in bringing this country together. I want someone who will be able to give me their best advice, look me in the eye, and tell me they disagree with me when they do. But what matters most is a simple test that’s not so simple to meet: whether the person could step in at a moment’s notice and serve as president. I have no doubt that Tim can do the job. I want him by my side on the trail and in the White House.